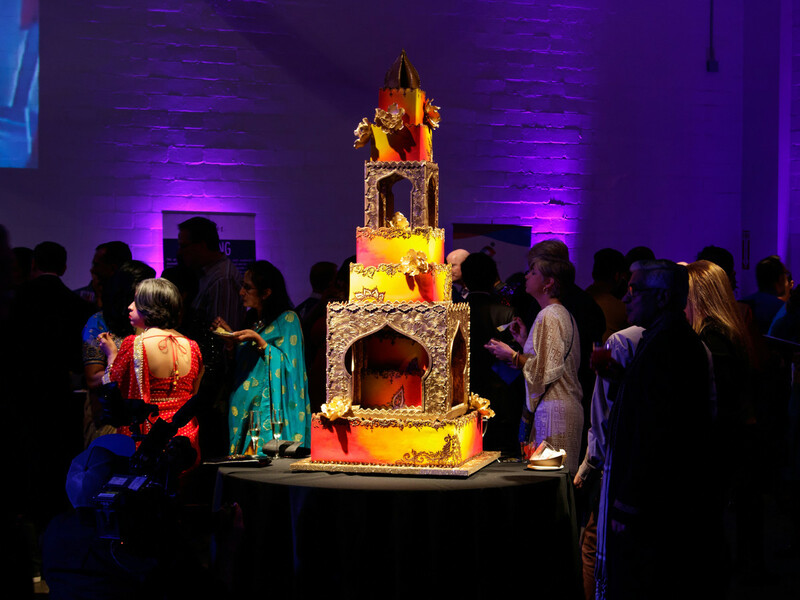 Resource Center Dallas had a milestone moment on March 3, when it celebrated the 20th year of its Toast to Life event, presented by Purple Foundation. 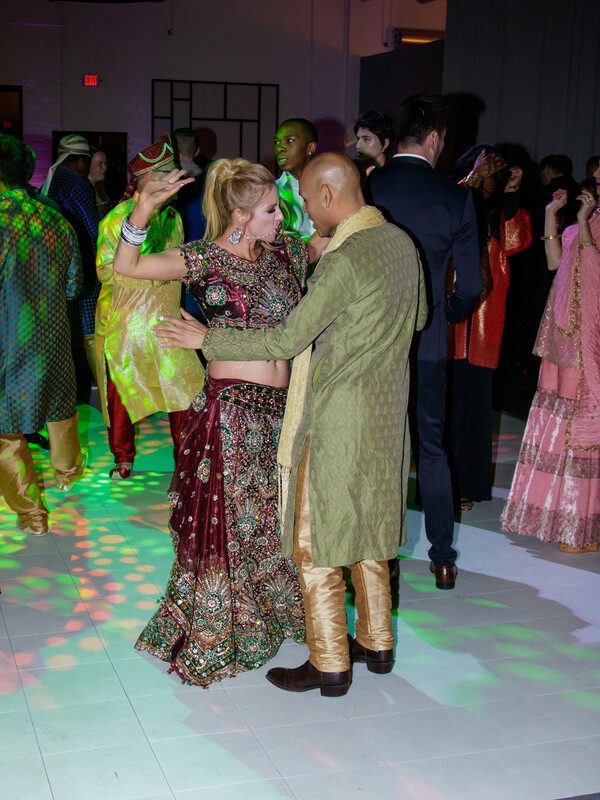 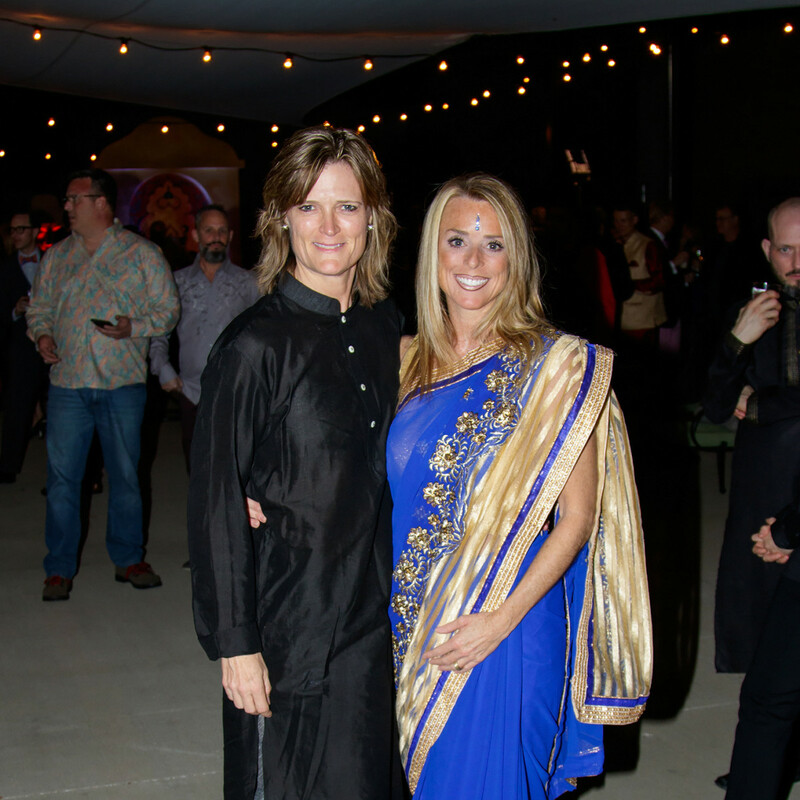 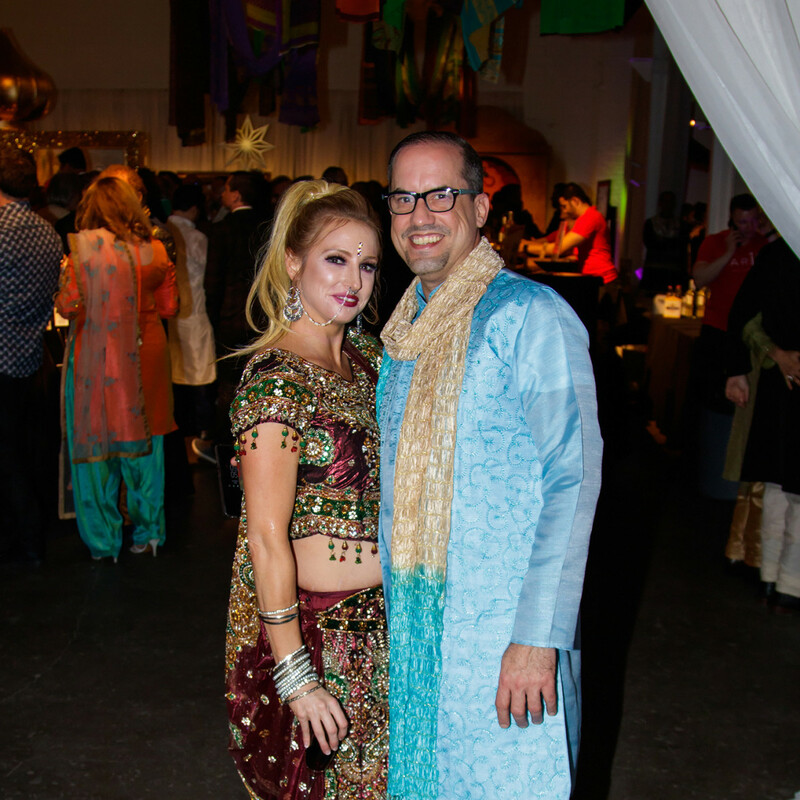 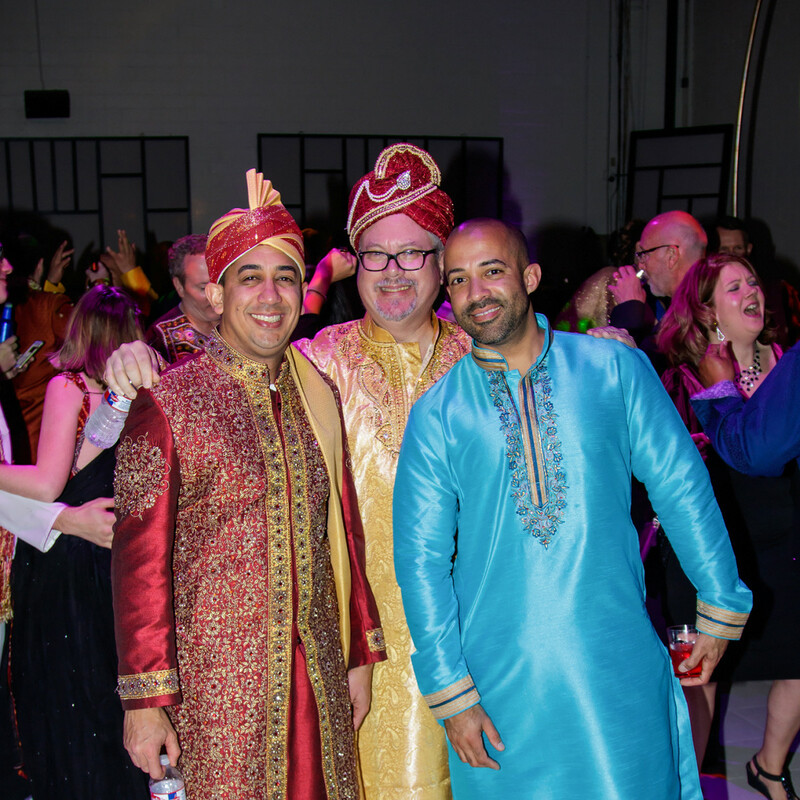 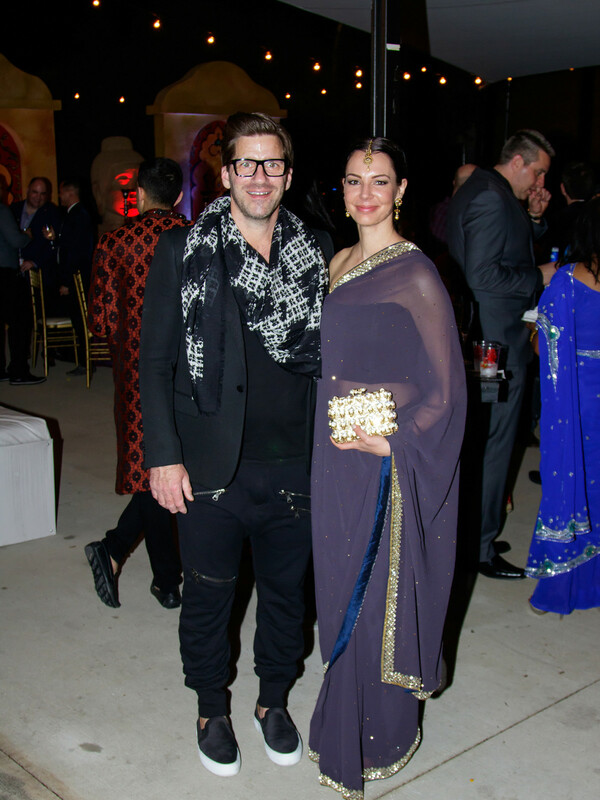 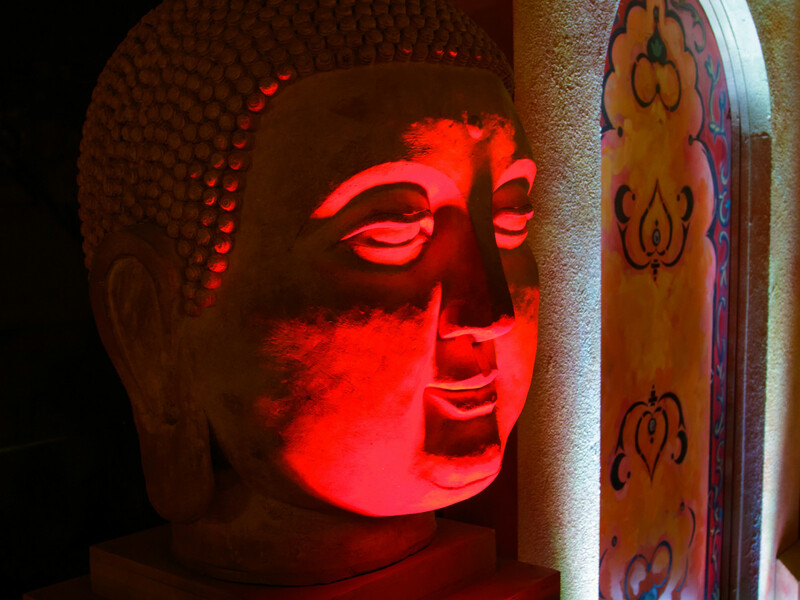 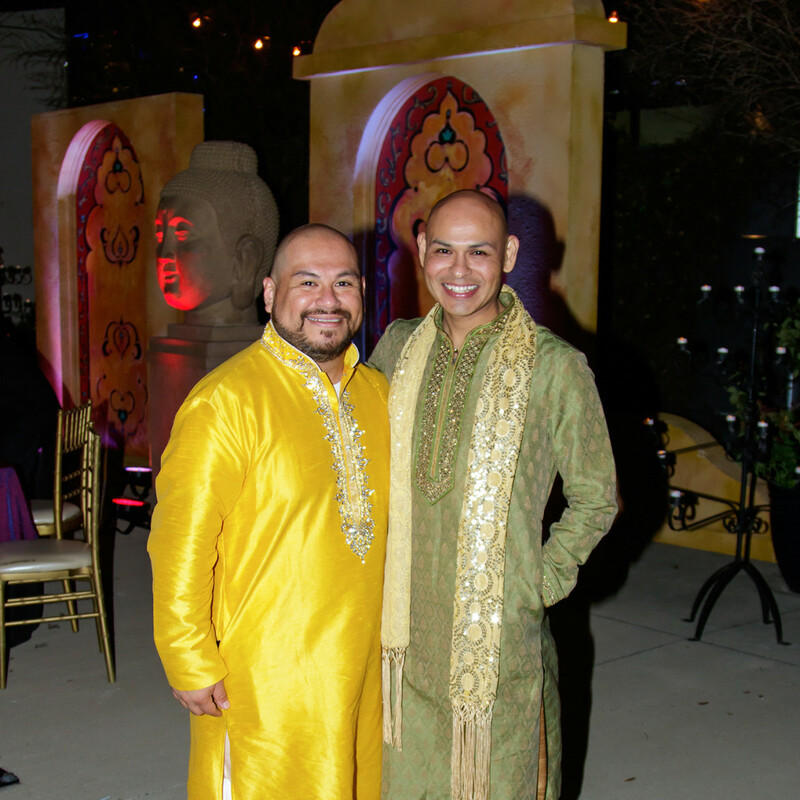 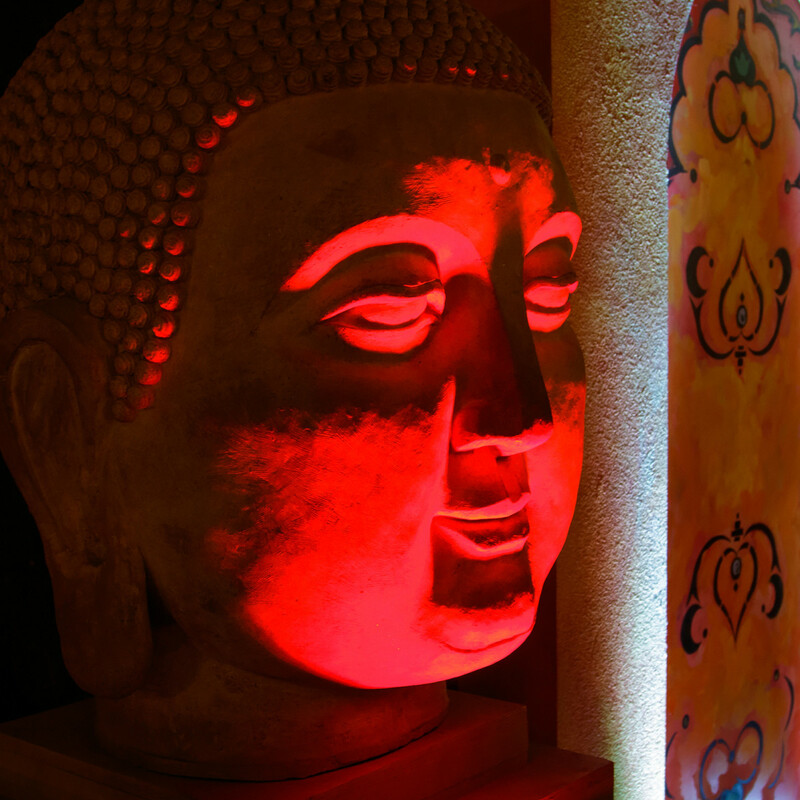 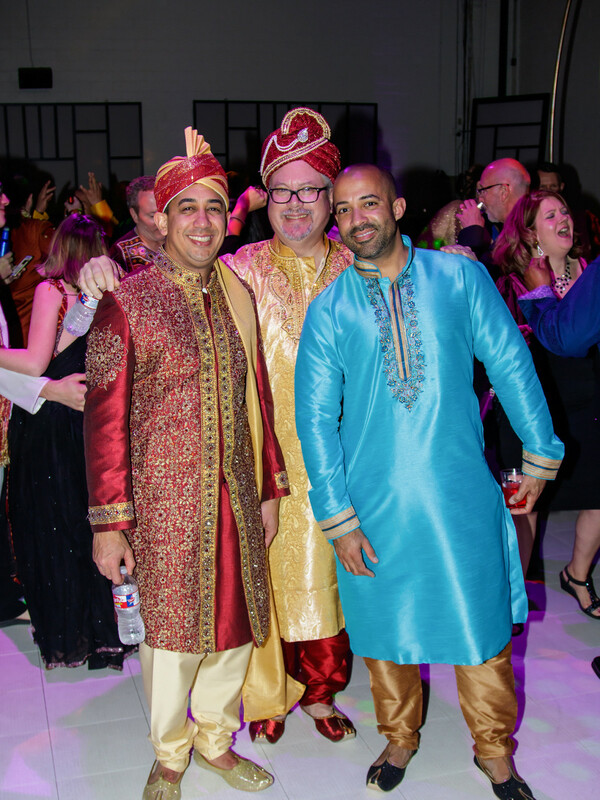 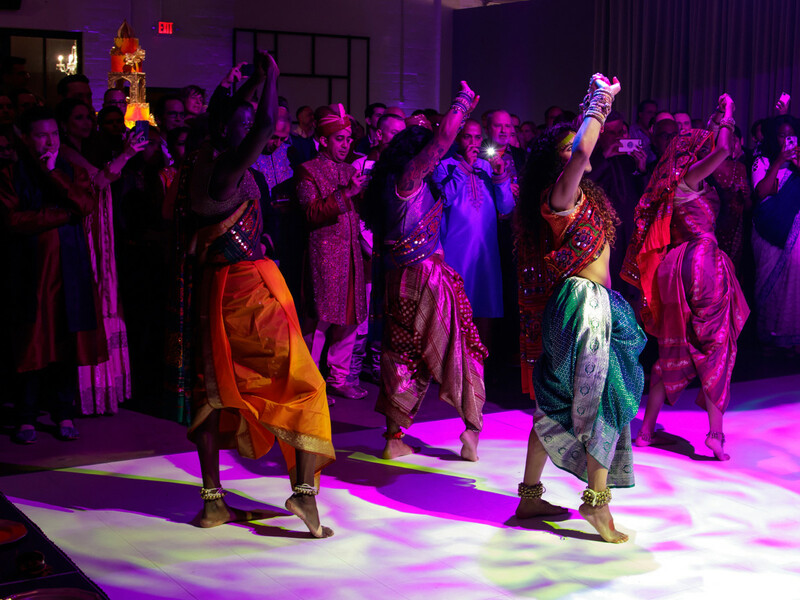 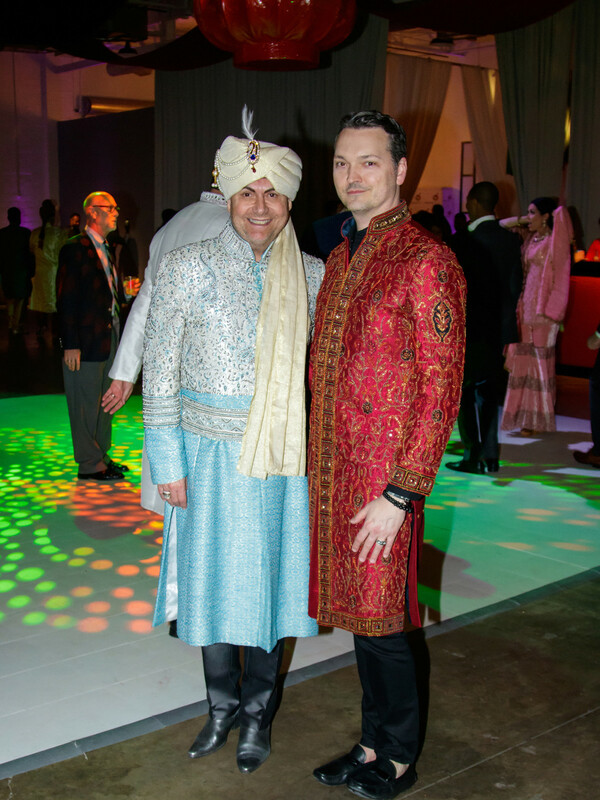 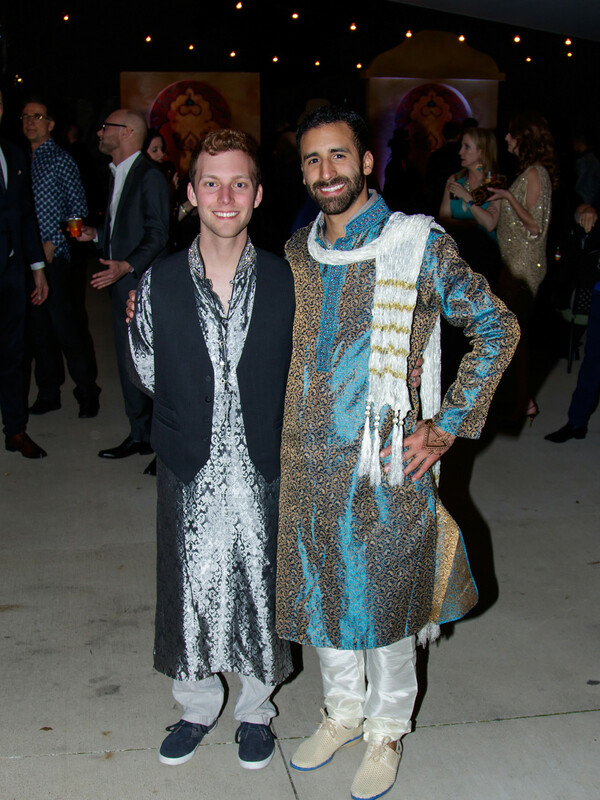 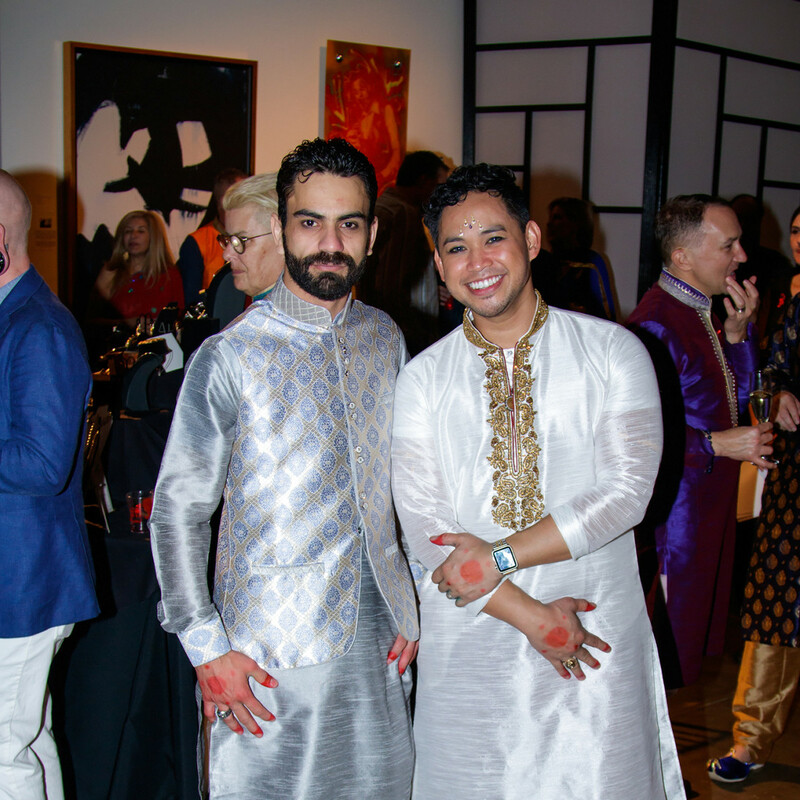 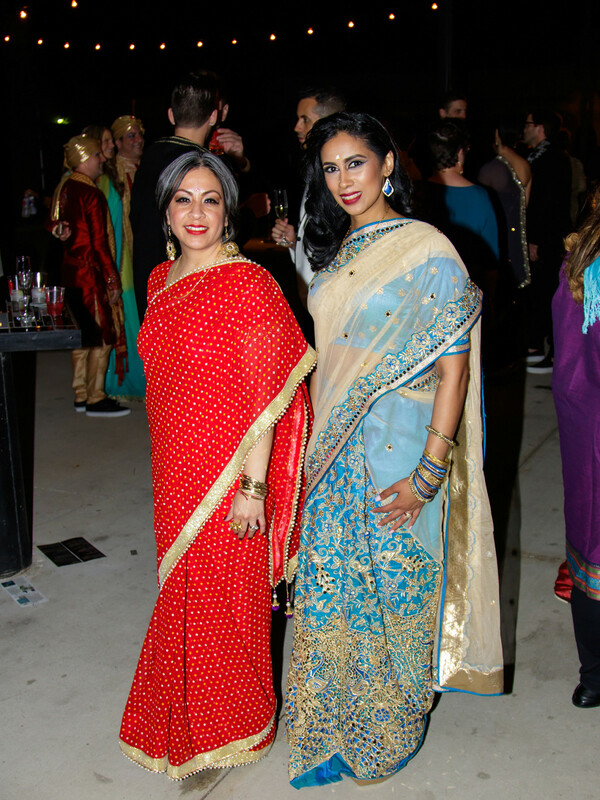 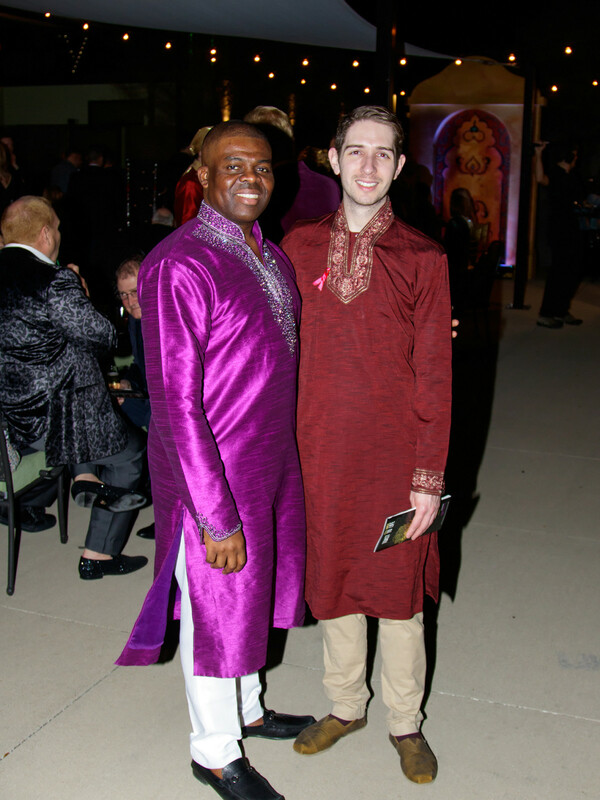 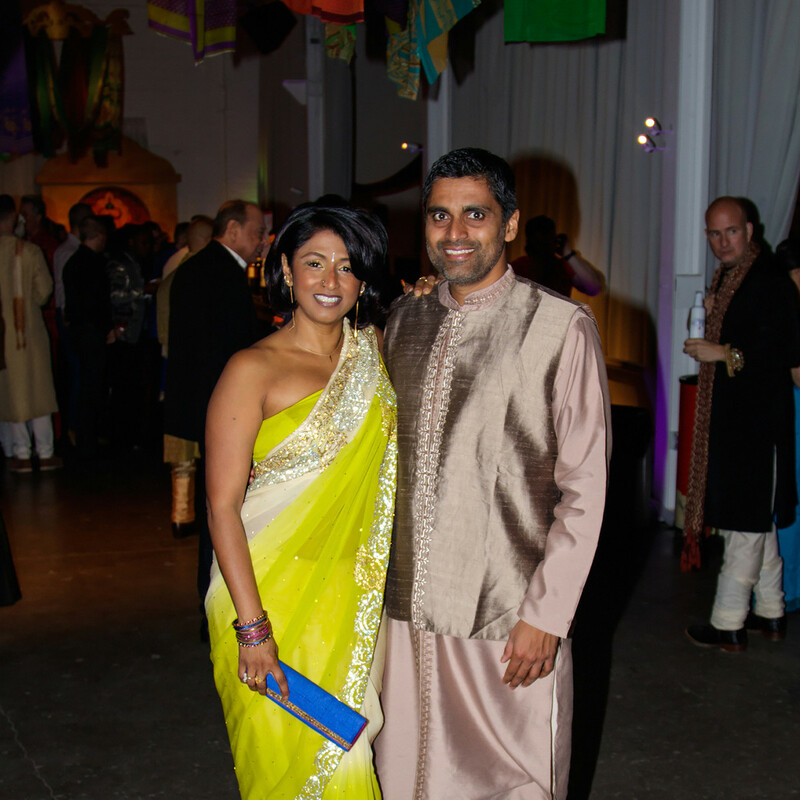 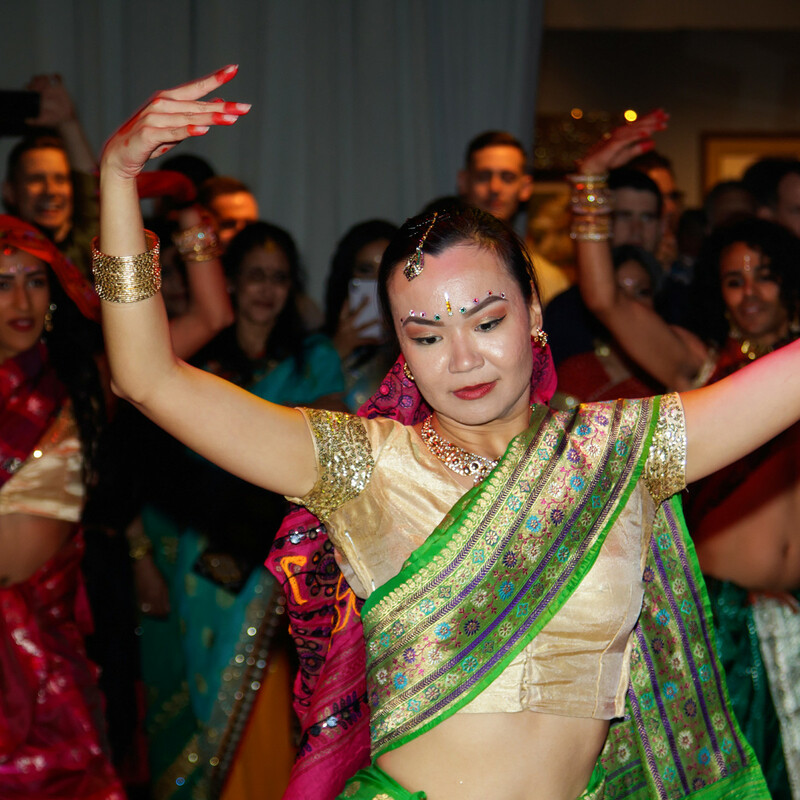 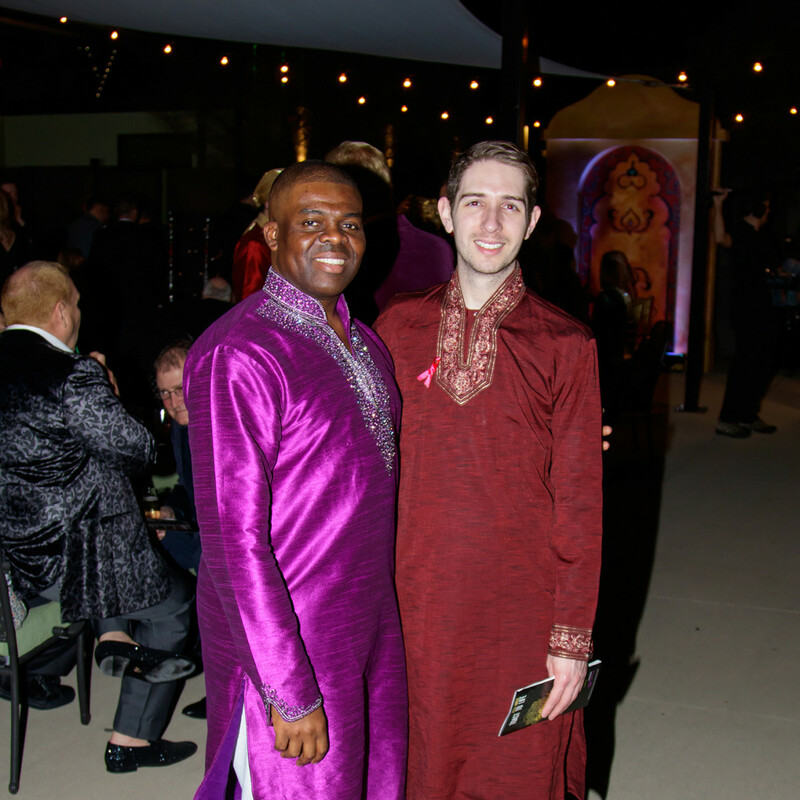 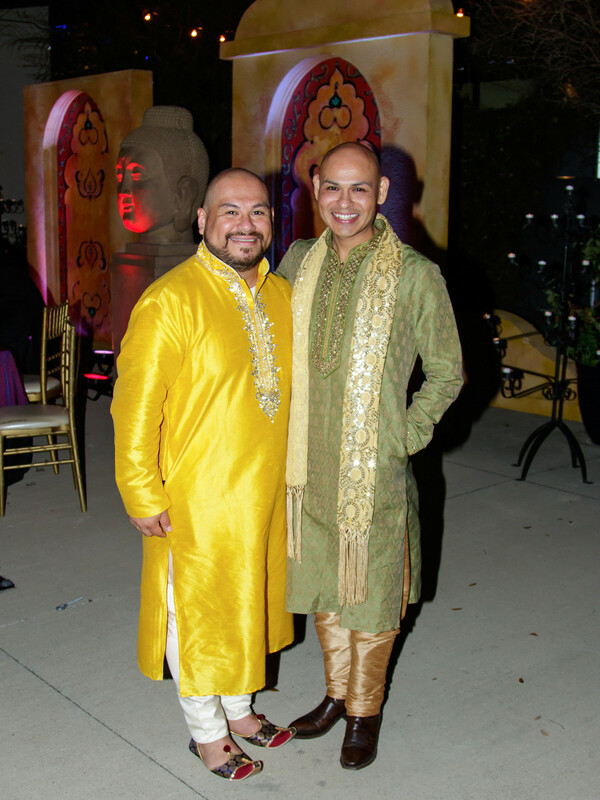 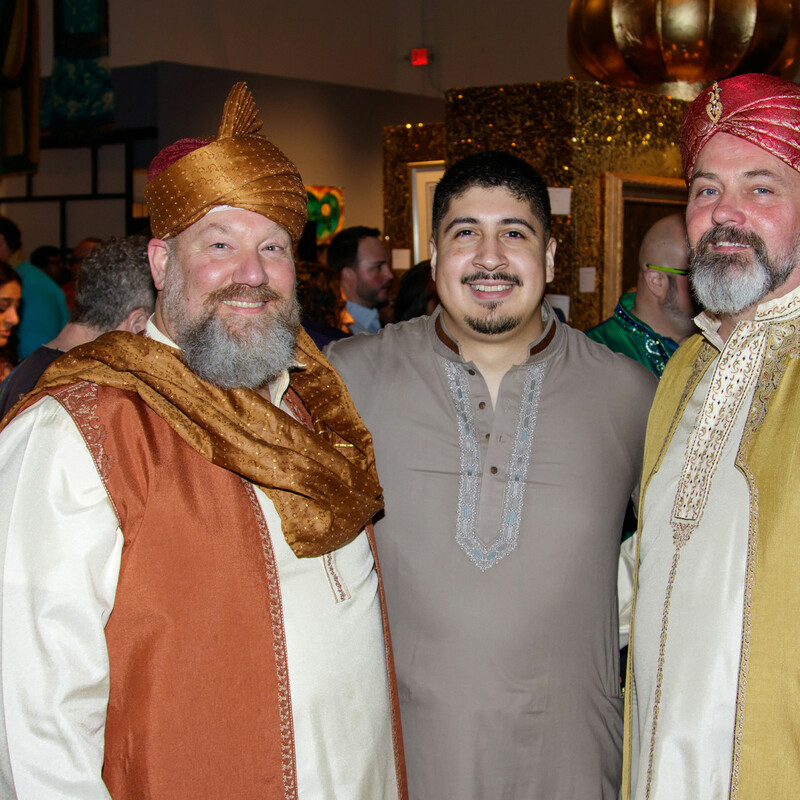 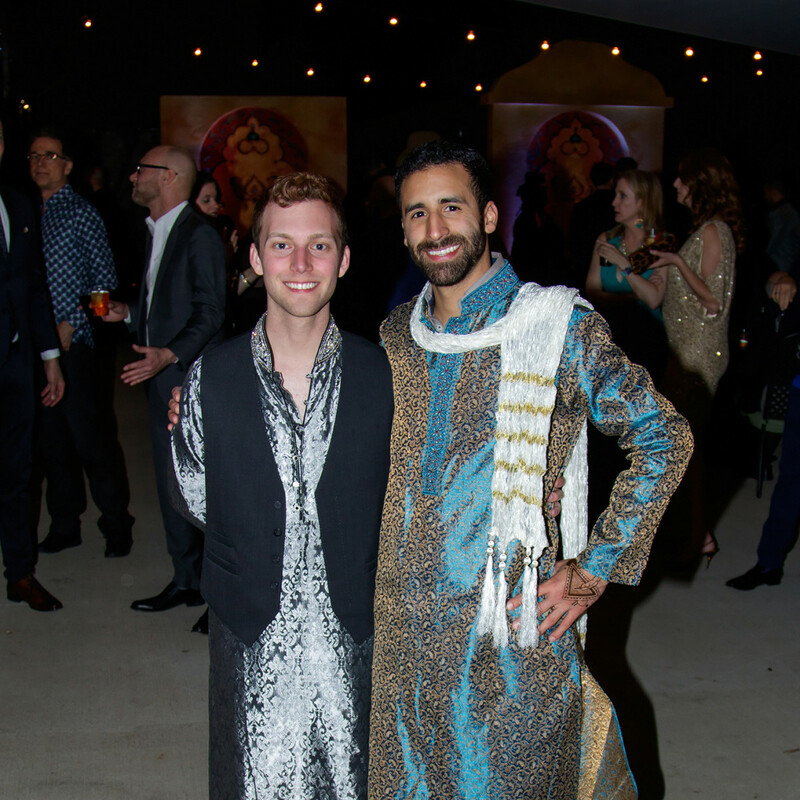 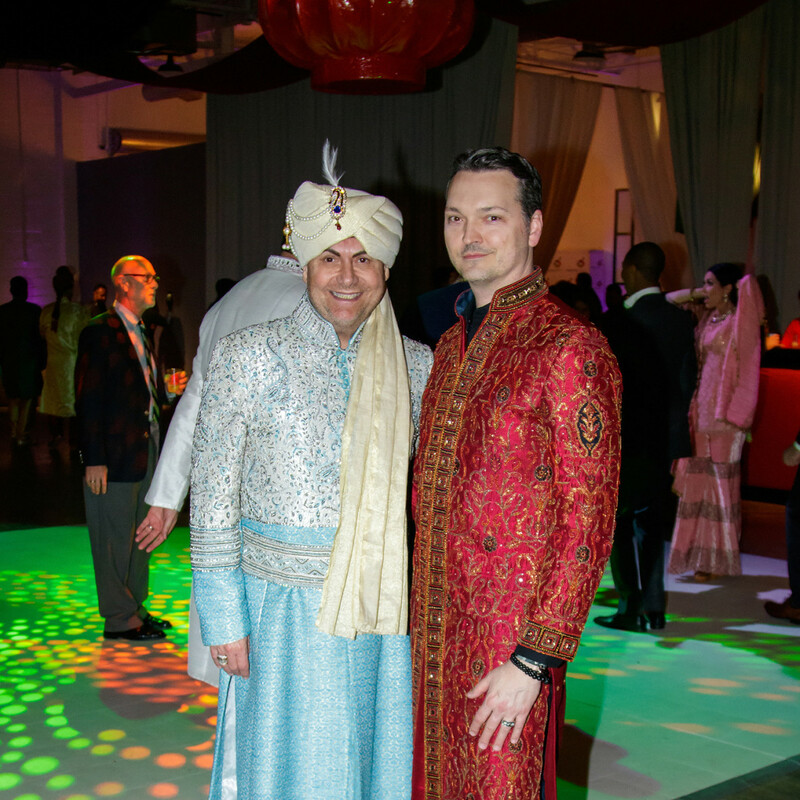 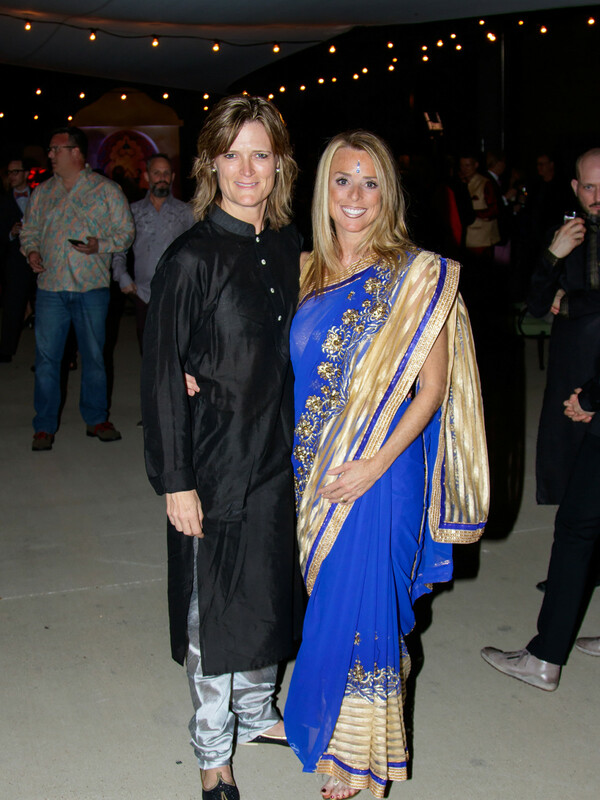 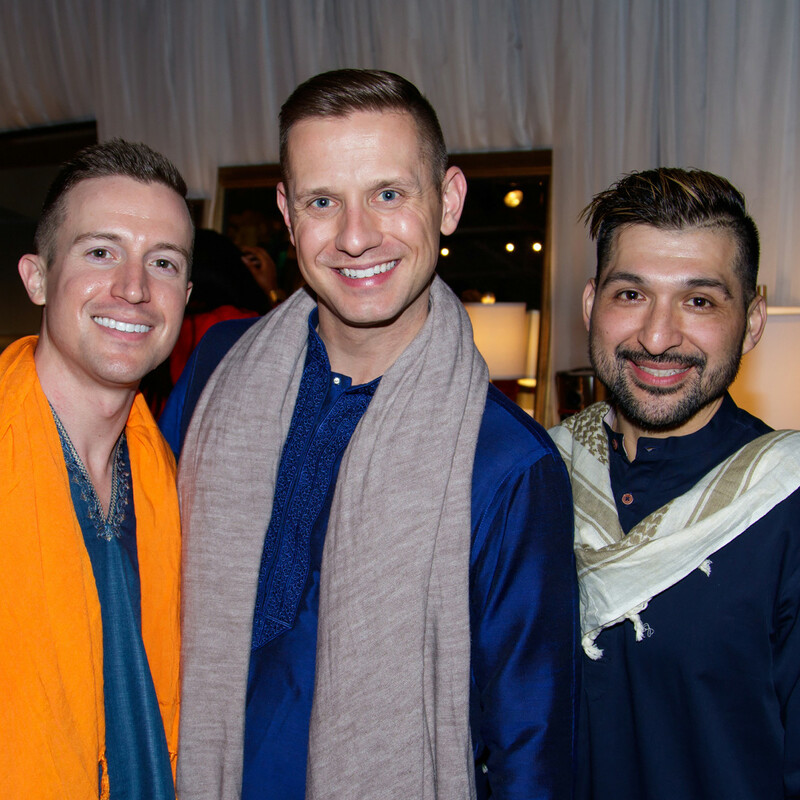 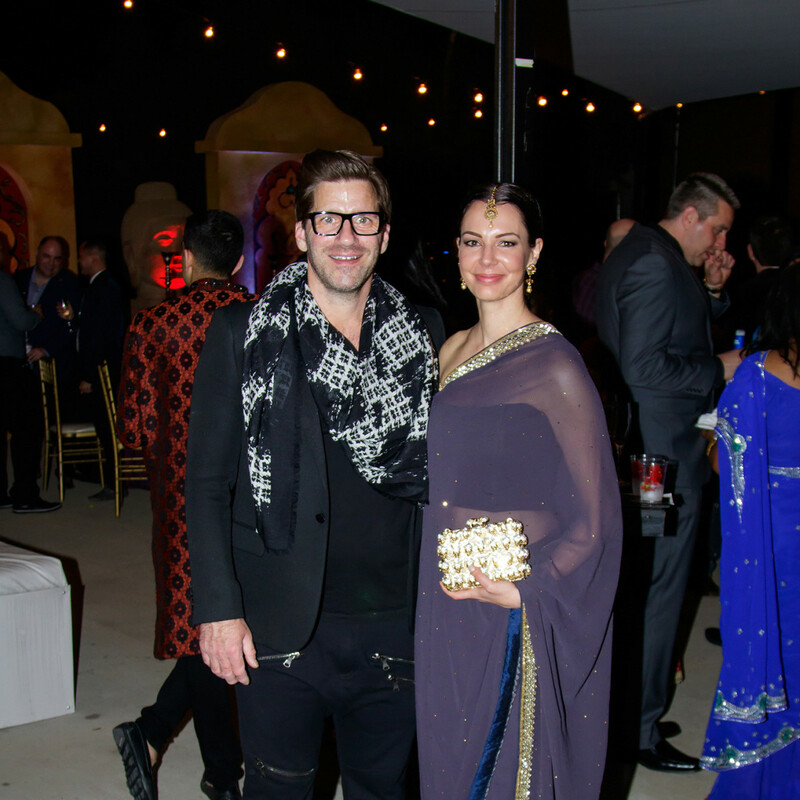 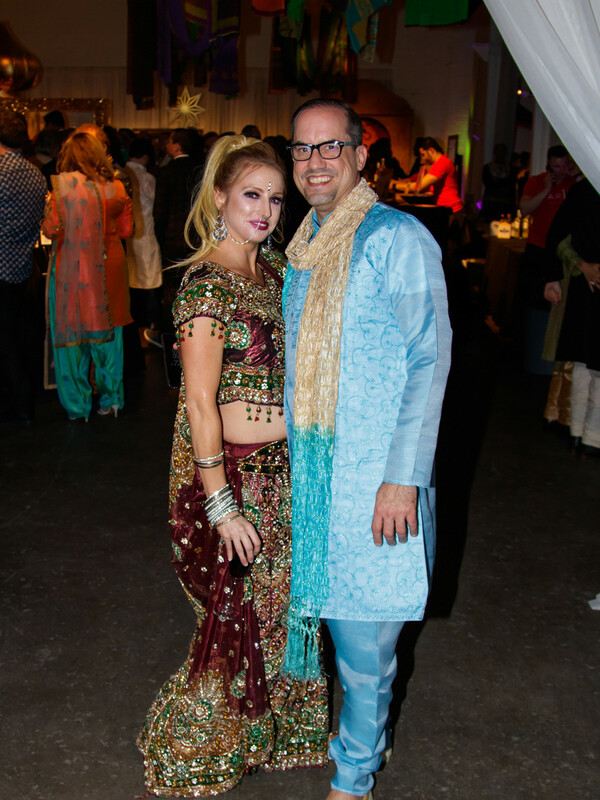 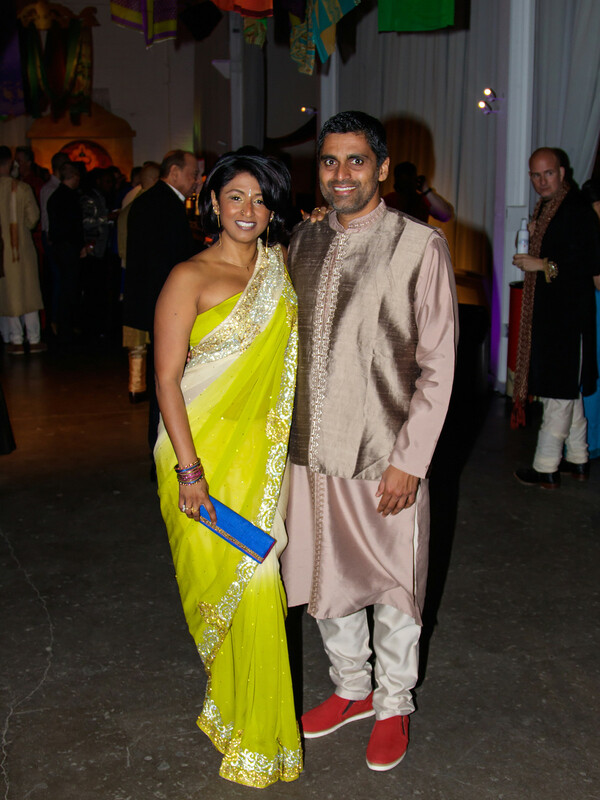 As per usual, the vital nonprofit committed fully to a theme — this year, it was Bollywood — because they understand there is no fundraising without the fun. 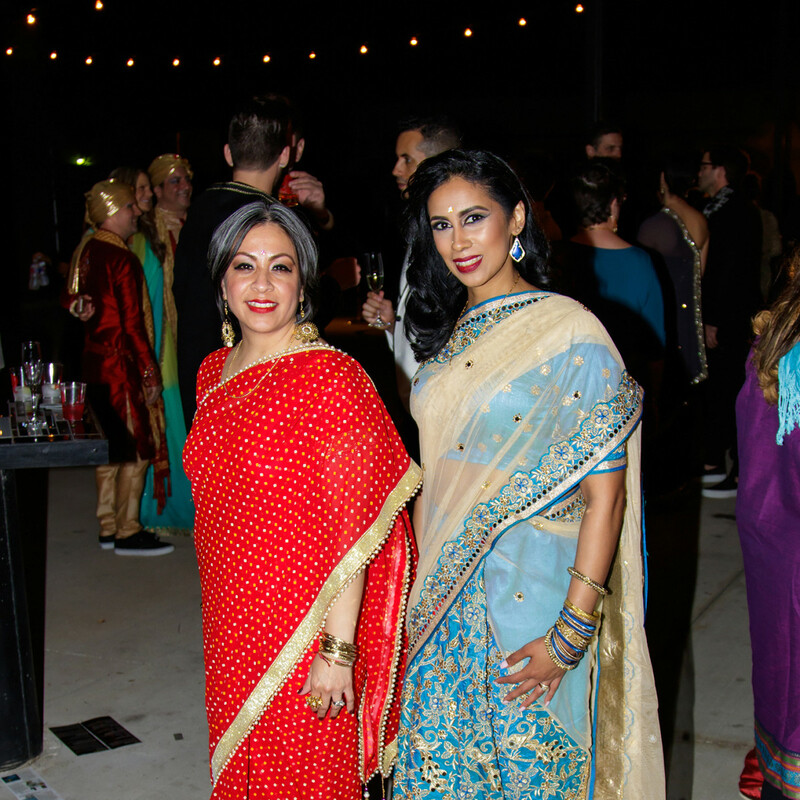 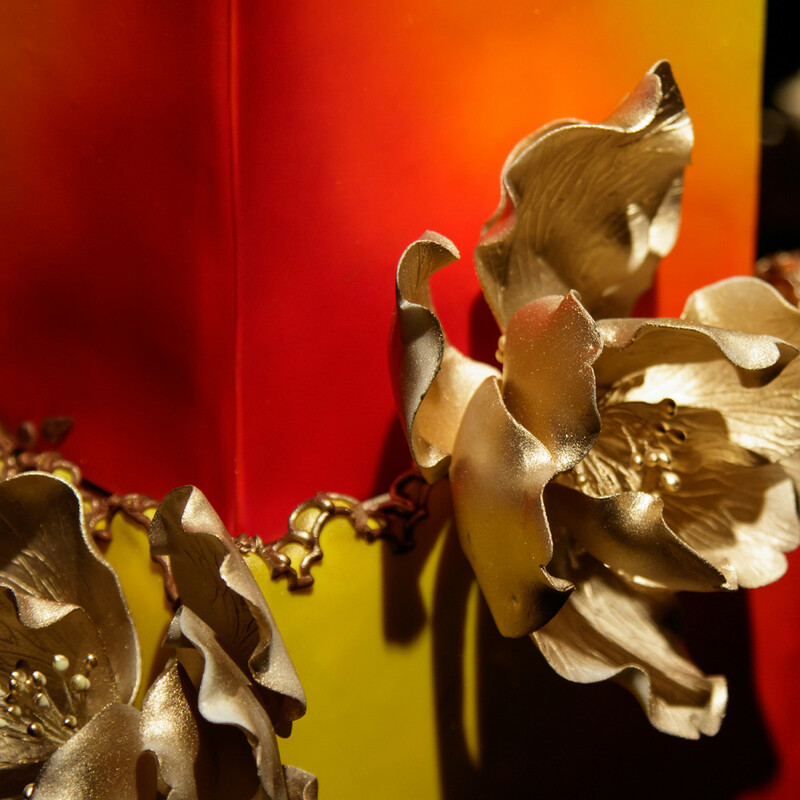 Undoubtedly this will go down as the most colorful Dallas gala of the year — not only because of the dazzling decor strewn about the Empire Room, but also because of the enchanting ensembles sported by supporters, including sari, salwar kameez, achkan, and dastar in every (sparkling) color imaginable. 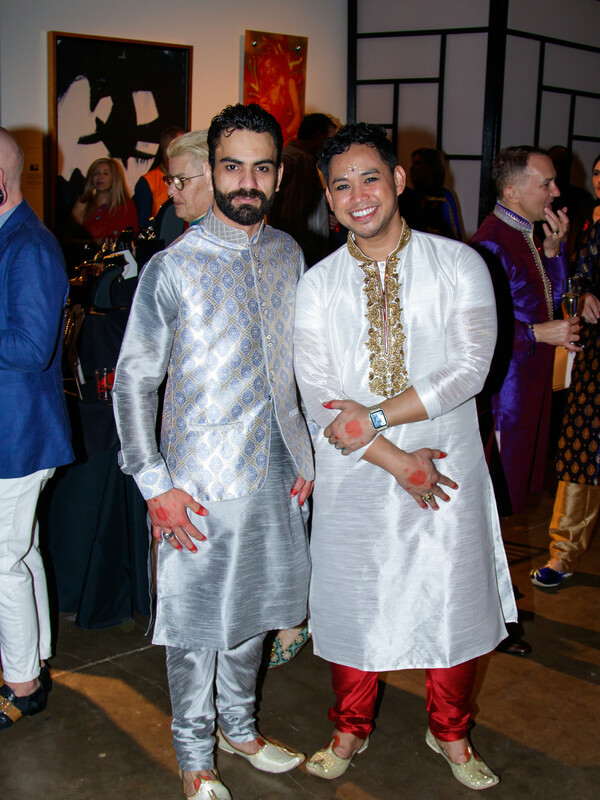 For those who desired even more bodily decoration, there were two henna tattoo artists eager to oblige. 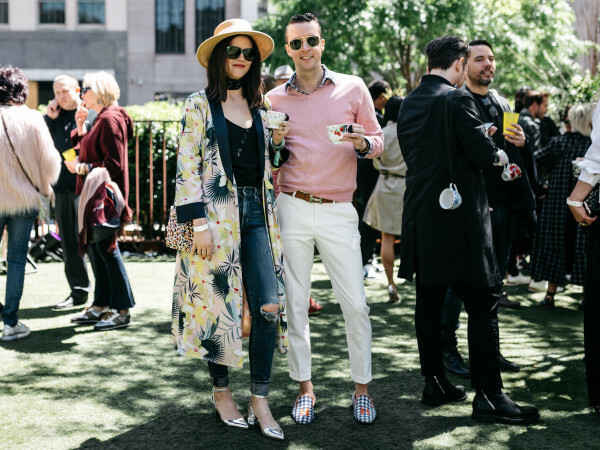 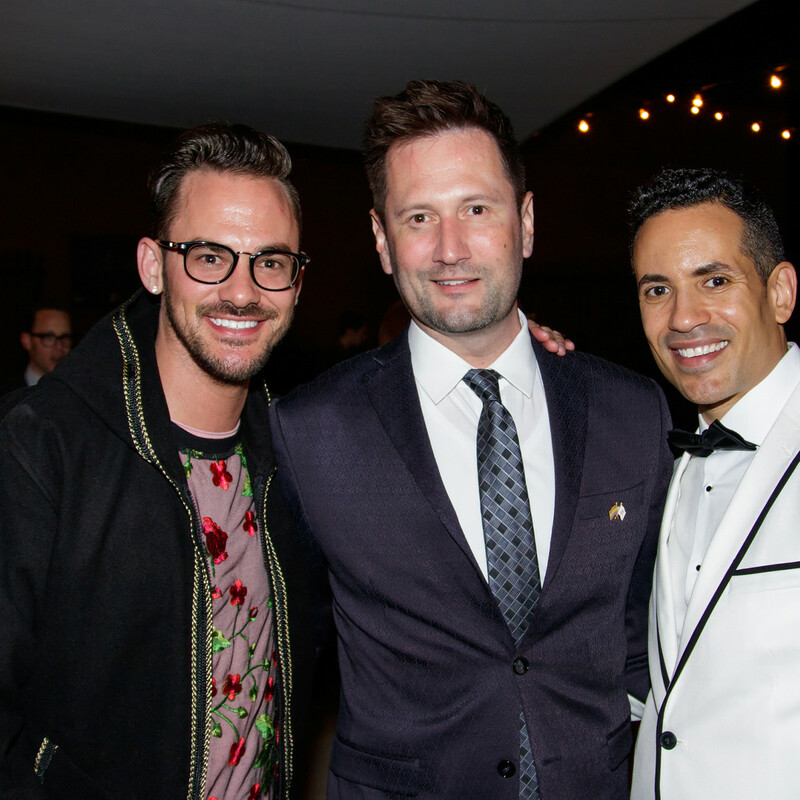 A few attendees chose to keep it simple, with tailored sport coats or crushed velvet blazers. 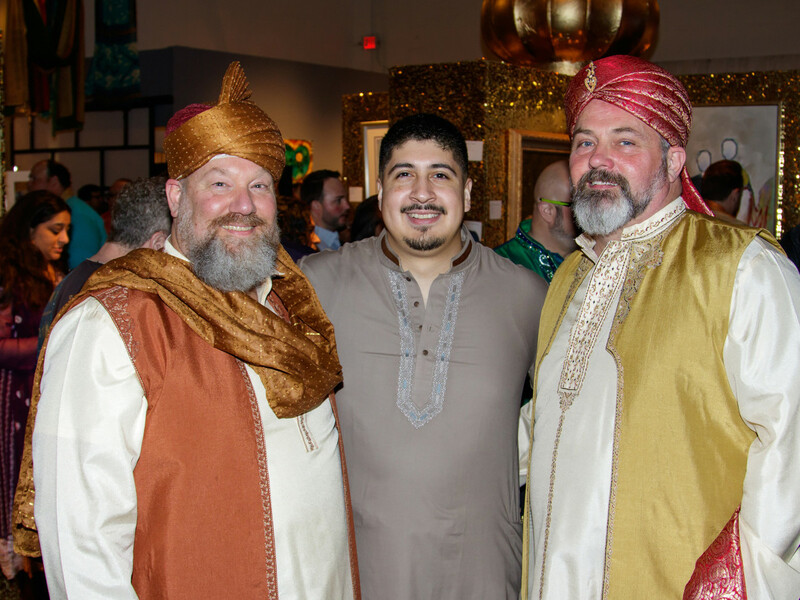 But they looked no less fabulous than their bedazzled brethren. 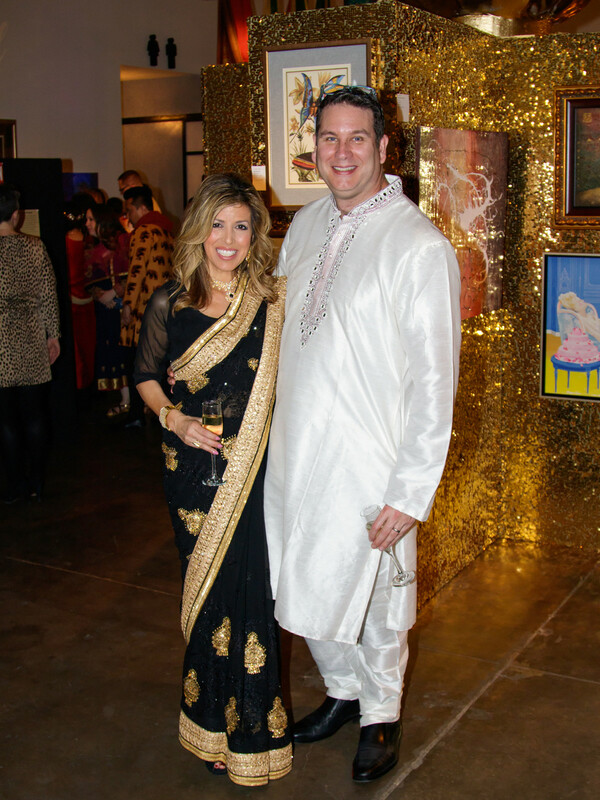 Spotted on the scene were co-chairs J’aime Joiner and Jim DiMarino, Resource Center CEO Cece Cox, Real Housewives of Dallas star LeeAnne Locken, Brittanie and Jason Oleniczak, Shelly Simon, Simon De Castro, Parker Thornton, Richard Rivera, Chad Collum, Christopher Longoria, Jose Salinas, Ryan Hines, Justin Leach, and Derrick Brown. 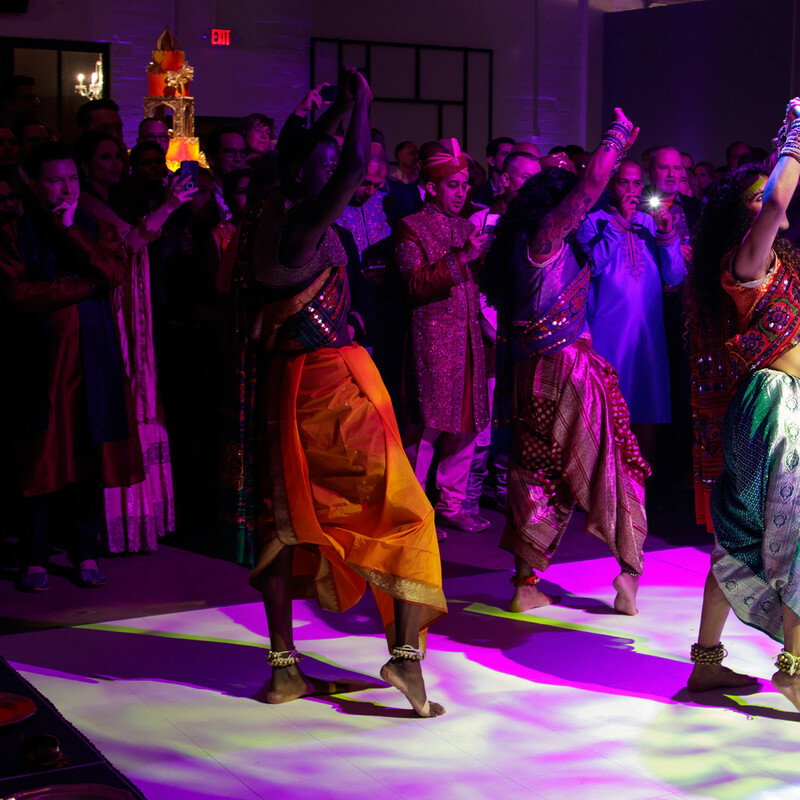 In addition to a lively theme, dancing is a hallmark of this eagerly anticipated event. 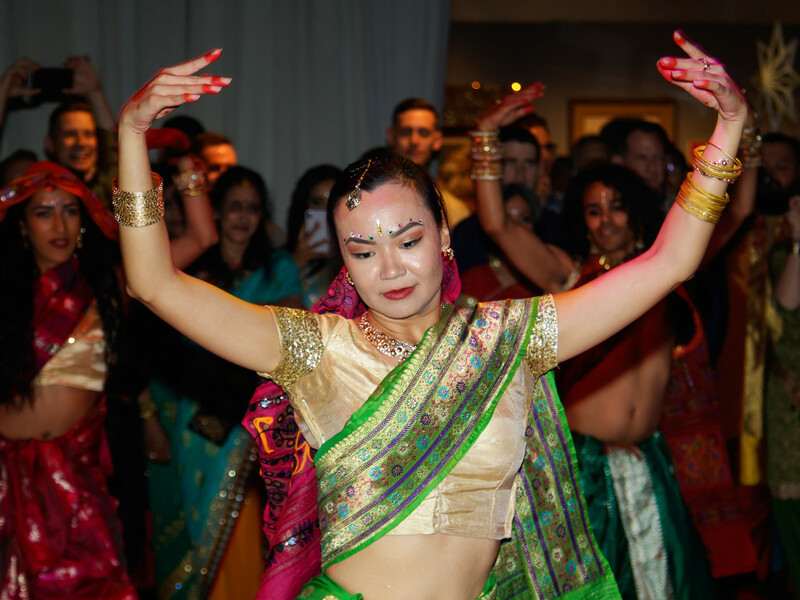 DJ Jennifer Miller provided the tunes, and Bollywood movies projected on both side of the dance floor provided inspiration. 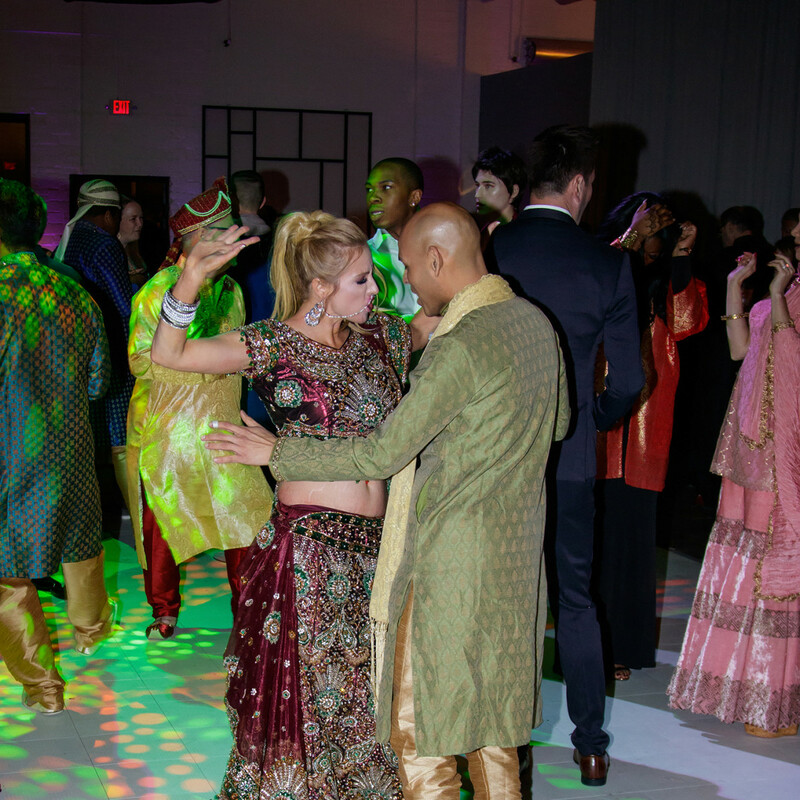 To fuel their dance moves, partygoers noshed on nibbles provided by Dallas’ top restaurants, which ranged from chicken tikka masala and curried chicken salad from Spice in the City to crab cakes from Dive and pork jowl from Bolsa. 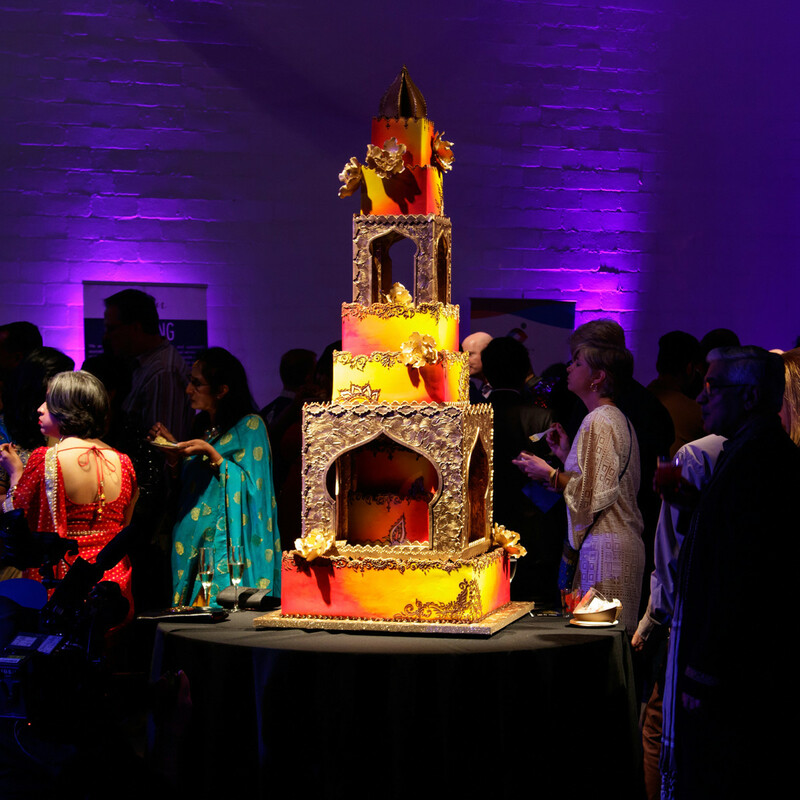 A magnificent multitiered cake from Frosted Art bakery, in the form of an Indian palace, was the most memorable dessert — although it was almost a shame to watch them cut into it. 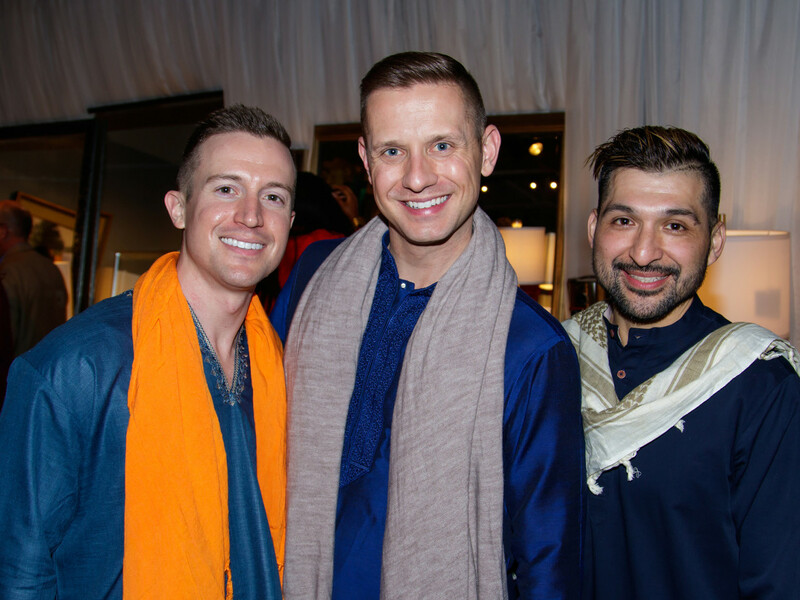 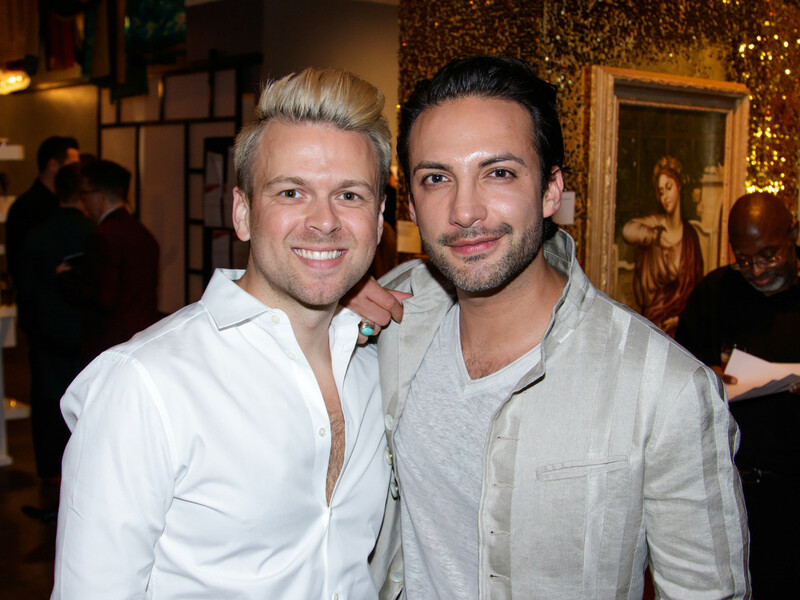 A steady stream of cocktails and bubbly also helped to keep the dance party going — and probably inspired a few bids at the silent auction, which included art, jewelry, home decor, and luxury vacation packages. 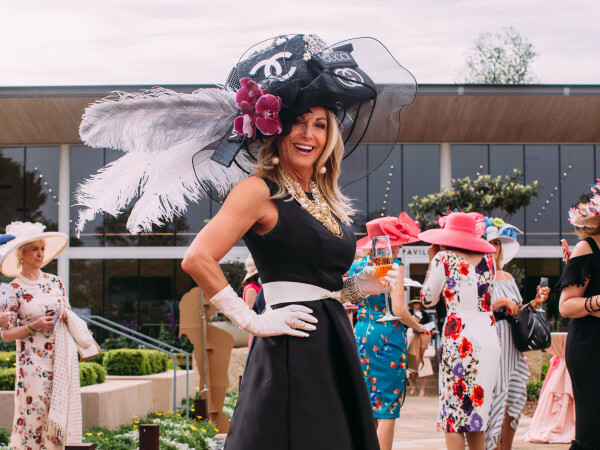 Even more money was raised during the live auction, when sassy emcee Steve Kemble drove up the bids for experiences like a Truluck’s six-course wine dinner, which went for $3,000. 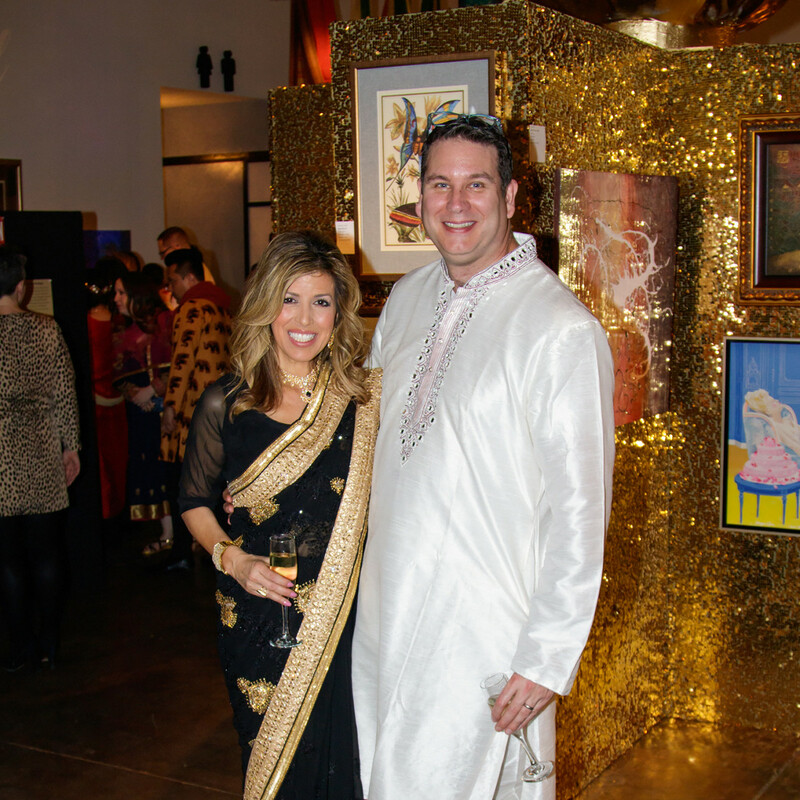 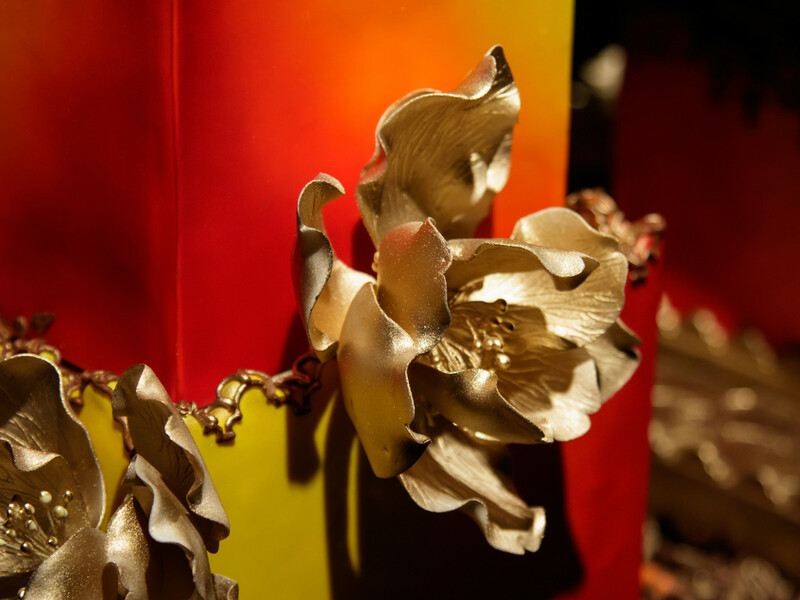 Every penny raised during the live auction goes directly to the Resource Center. 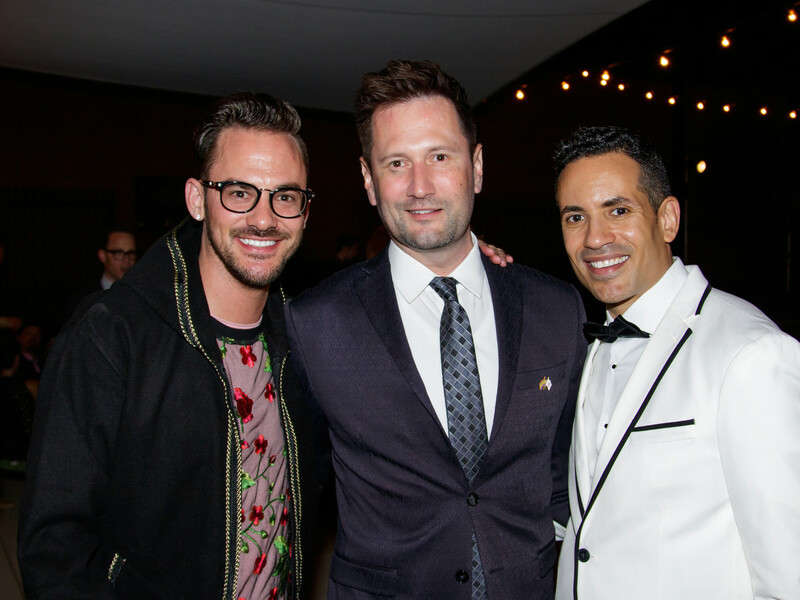 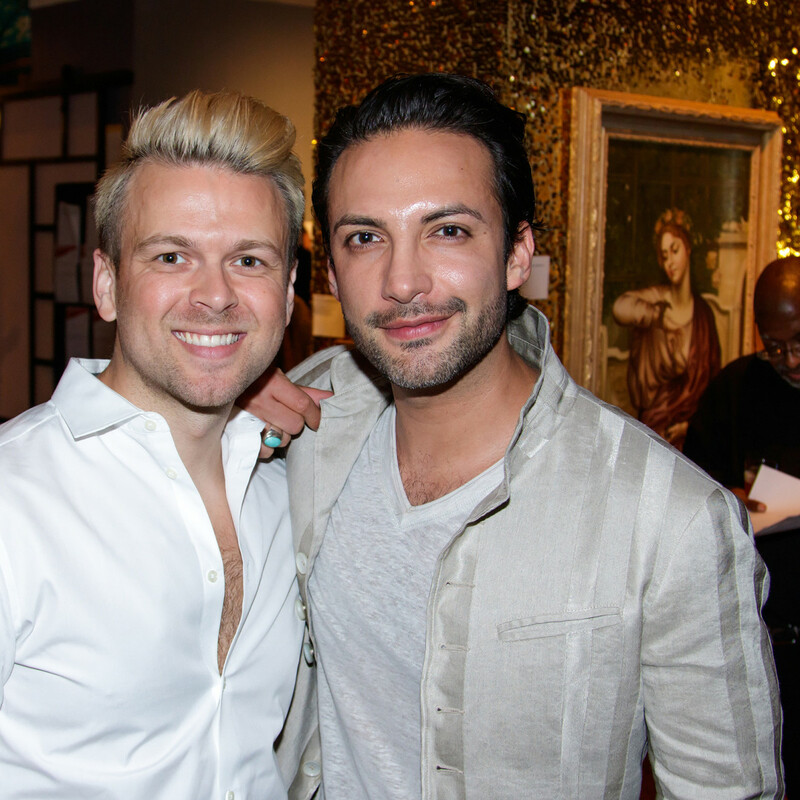 Since its inception in 1999, Toast to Life has raised $4 million for programs and services at Resource Center Dallas, which empowers the lesbian, gay, bisexual, and transgender (LGBT) communities and all people affected by HIV through improving health and wellness, strengthening families and communities, and providing transformative education and advocacy.